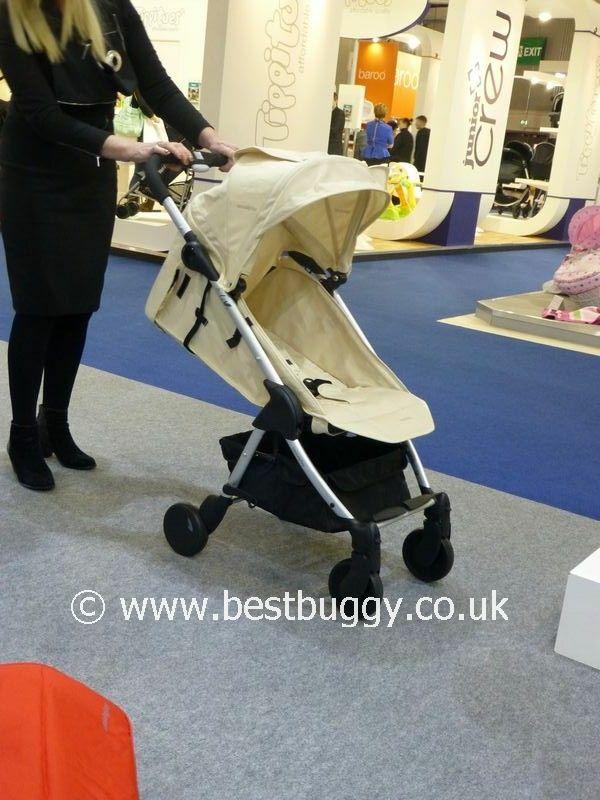 The Casual Play Livi instantly grabbed our attention with its small, neat fold! 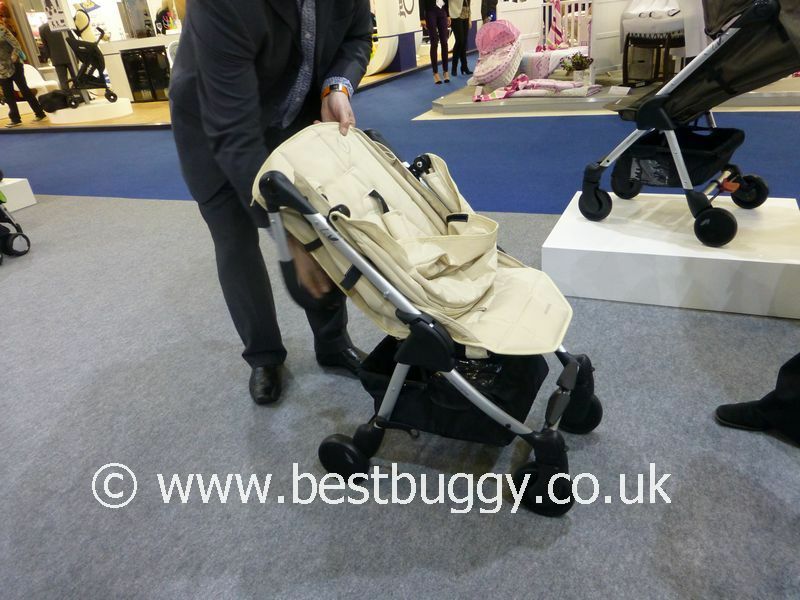 The Livi folds down to briefcase sized 58 x 48 x 32 cms small! Amazing! 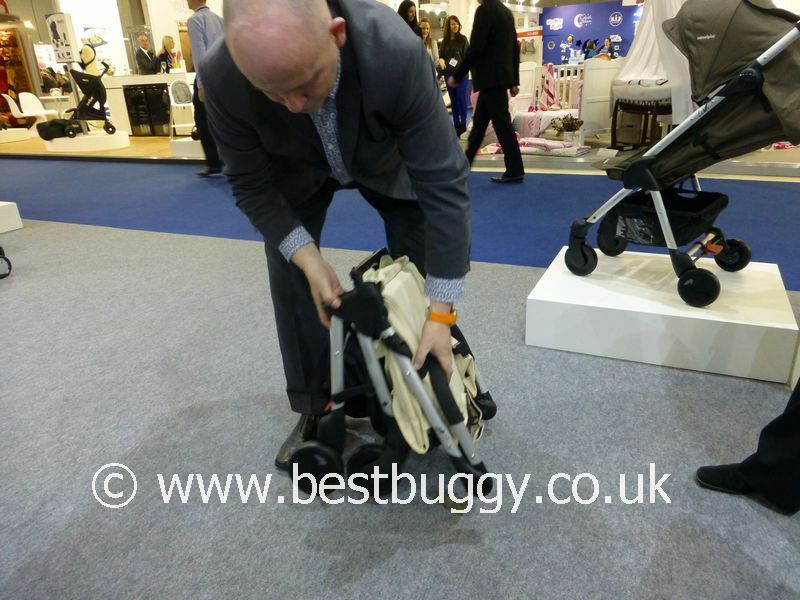 We LOVE small folding pushchairs! 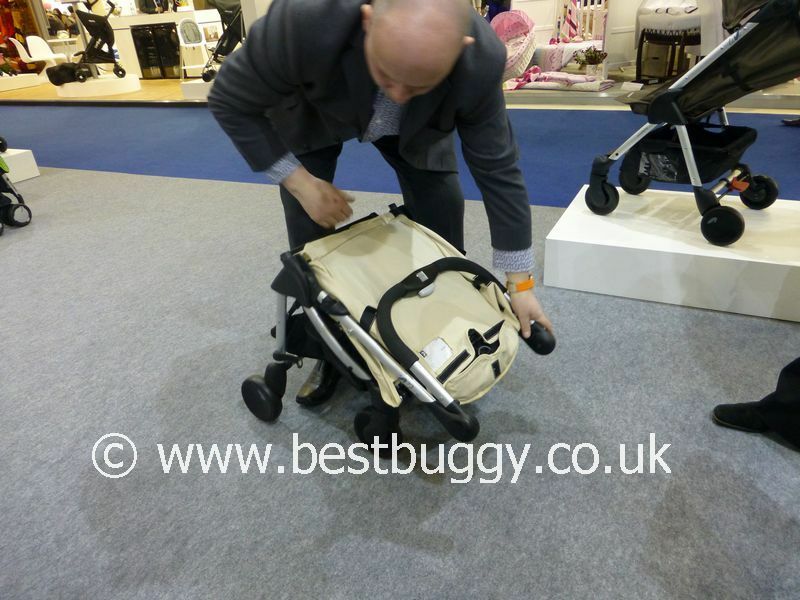 There is an integral carrying handle for ease of tranportation, and the Livi will freestand when placed on the floor. 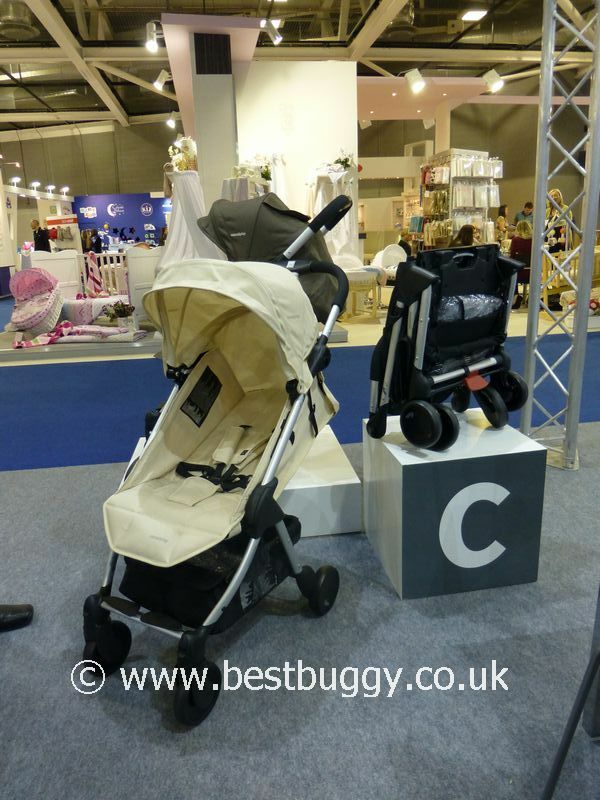 However the Livi goes one better than almost all the other small folding pushchairs that we have tried out, because it IS suitable from birth. The Casual Play Livi HAS to be a really good option if you travel a lot. 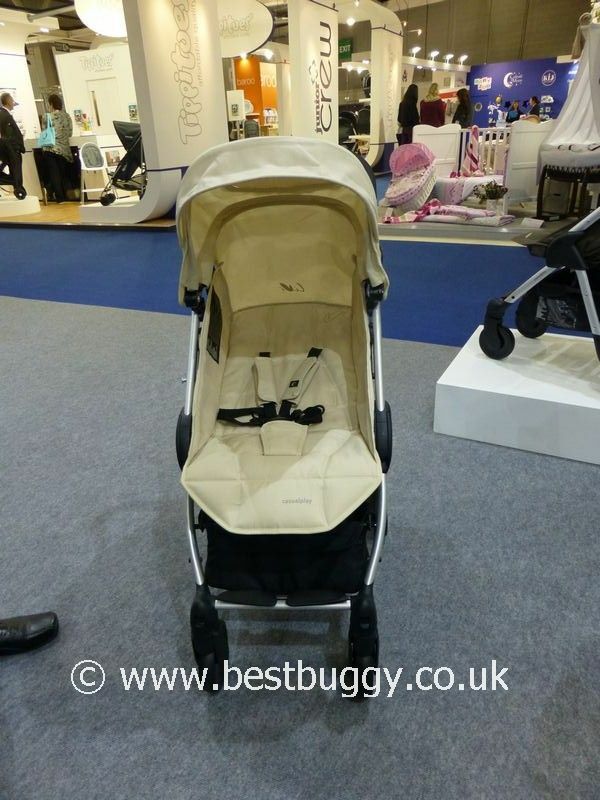 The seat seems generously sized and we liked that there was a small lift up calf rest for a young child. 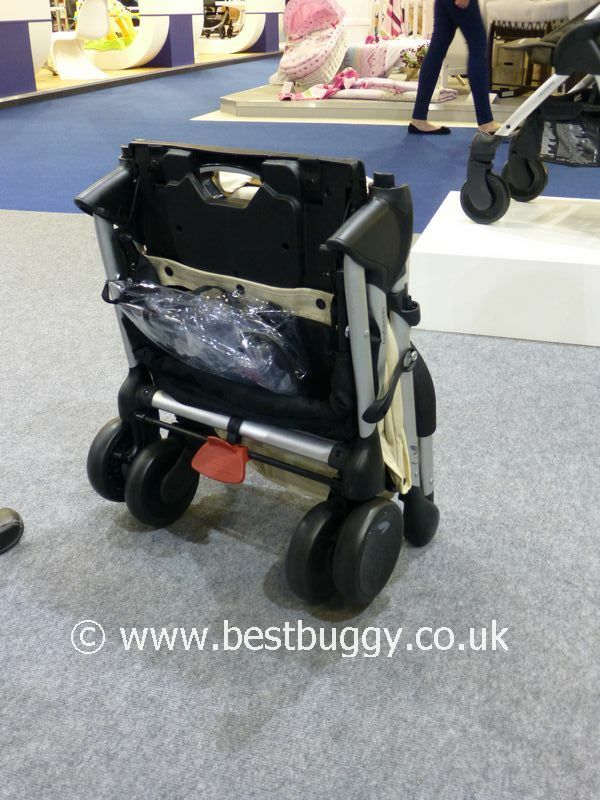 The wheels seemed to be sturdy and a good size for a pushchair which folds so small. It is easy to manoeuvre with one hand. There is also a generous sized basket. Open the Livi measures 102 x 48 x 85cms. 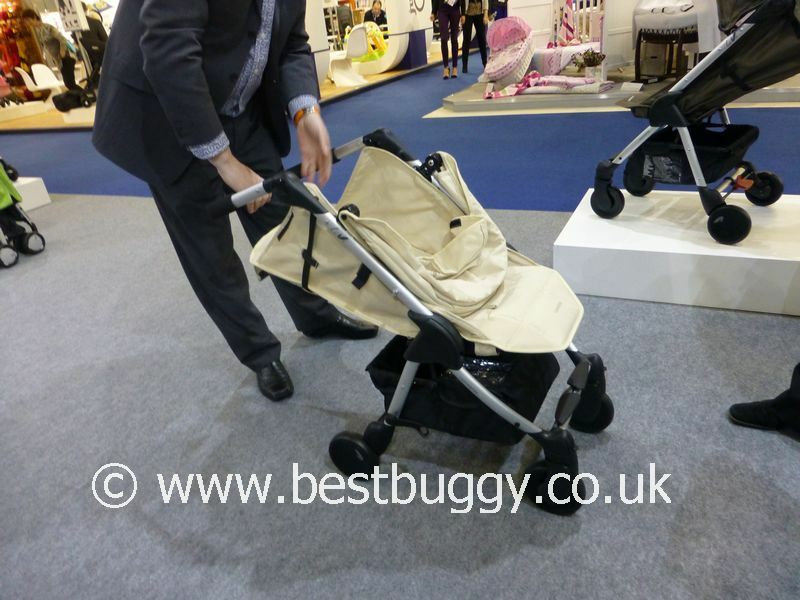 At 48cms wide, the Livi is one of the narrowest pushchairs we have seen. 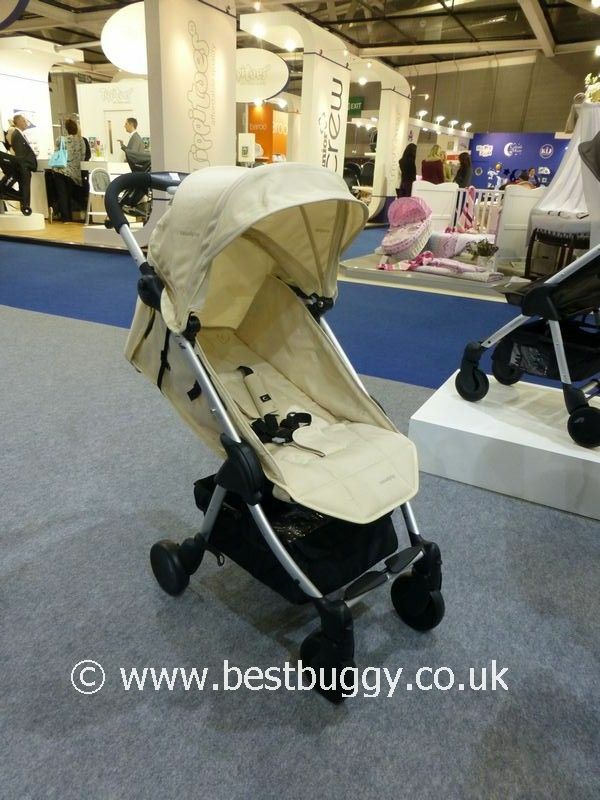 The Casual Play Livi weighs only 7.5kgs! 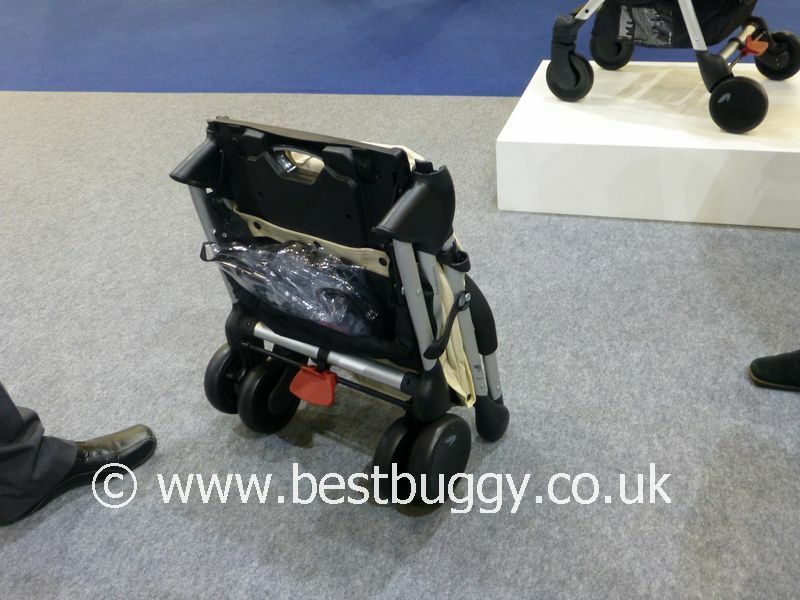 We really LOVE the look of this small pushchair. 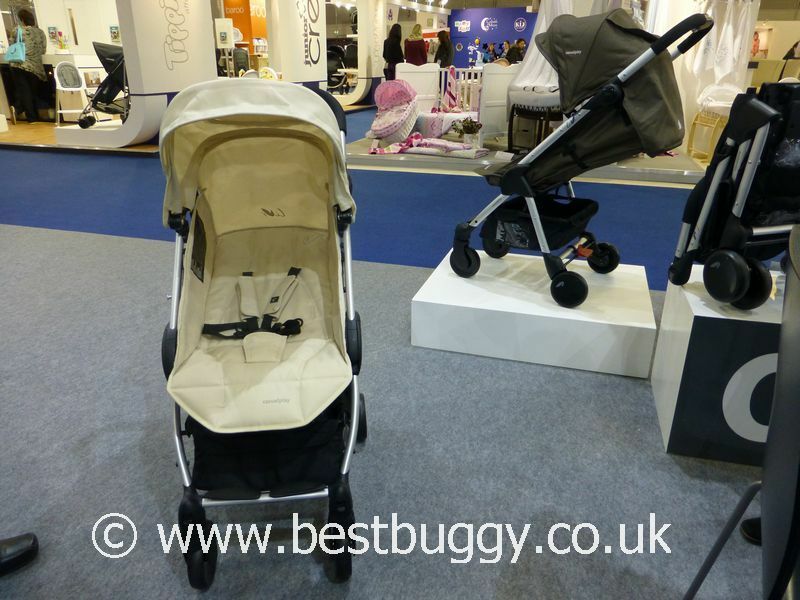 We believe the price will be well under £200 but the precise price is yet to be decided. 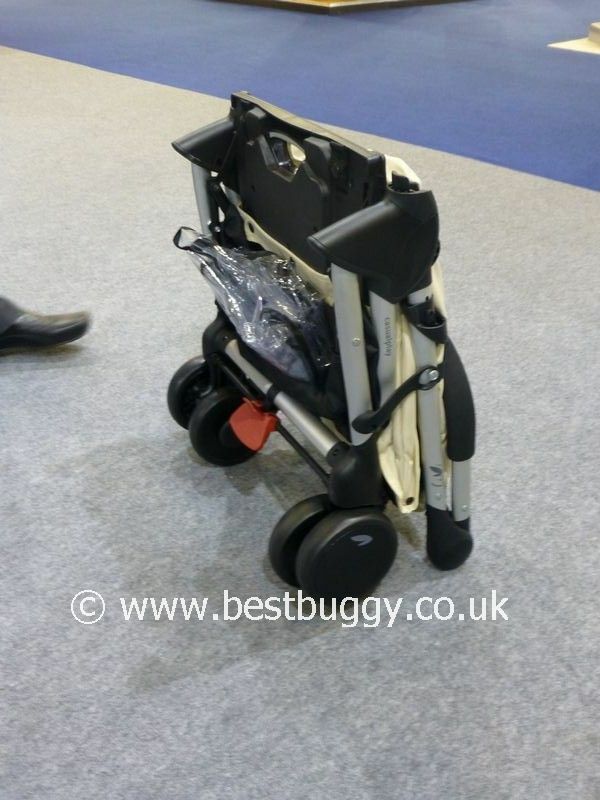 But what a fabulous travelling pushchair for holidays the Livi will be!